On December 12, 2018, The Tulalip Police Department along with Emergency Medical Services responded to three drug overdose cases. The substances used in each of these emergency responses was suspected to be heroin laced with fentanyl. Two of the victims made it only a few yards before collapsing, fortunately Tulalip Police Officers responded and administered lifesaving doses of Naloxone, a medication used to counteract opioid overdose. Due to the quick action of Police and Fire emergency responders, all individuals survived and were transported to area hospitals for medical treatment. 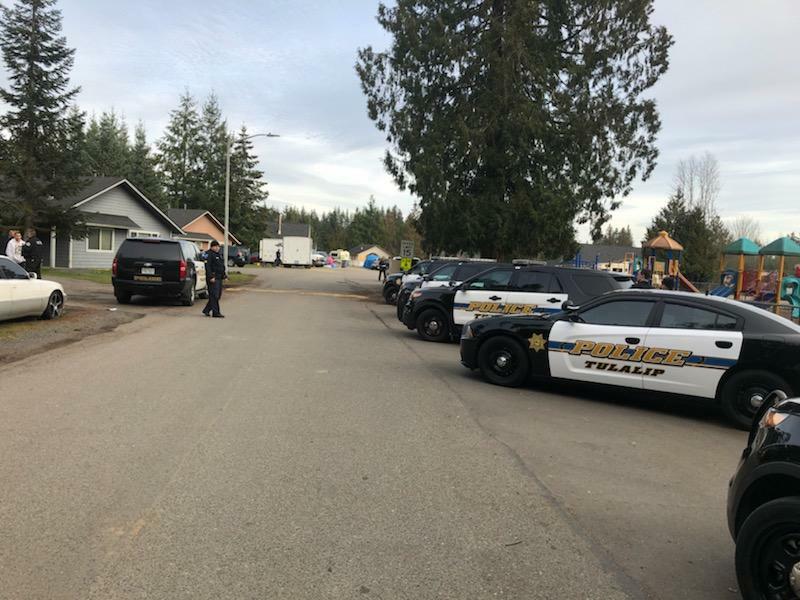 On Thursday, December 13, 2018, Tulalip Police Department Drug Task Force Detectives assisted by Tulalip Police Criminal Investigations, Patrol, and Fish and Wildlife served a search warrant for alleged illegal drug activities at the residence located at 8629 27thAve NE. 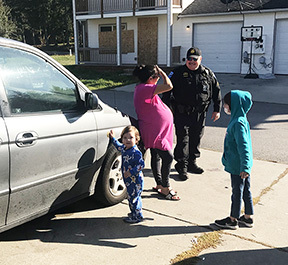 This residence had been the source of recent community complaints and following a narcotics investigation probable cause for a search warrant was developed. The service of the search warrant at 8629 27thAve. NE. resulted in five adults arrested on various charges to include: manufacture/delivery controlled substance, unlawful possession of firearms, possession of controlled substance with intent to distribute, possession of a stolen firearm, and outstanding arrest warrants. Distribution quantities of illegal narcotics were seized, along with other evidence of possession with the intent to deliver controlled substances. Additionally three stolen firearms were seized from within the residence. 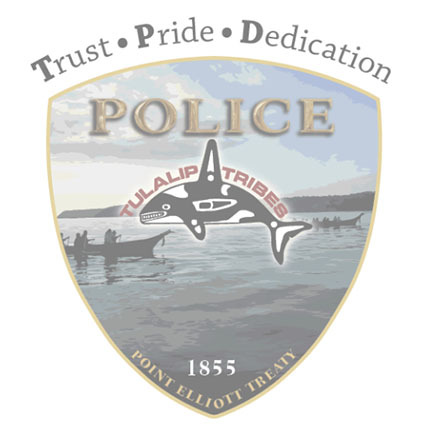 The Tulalip Police Department remains committed to protecting the community by deploying resources to investigate complaints of alleged narcotics sales recognizing the devastating impacts of this criminal behavior on individuals, families, and the community. Those struggling with addictions are encouraged to seek the resources offered to assist them. 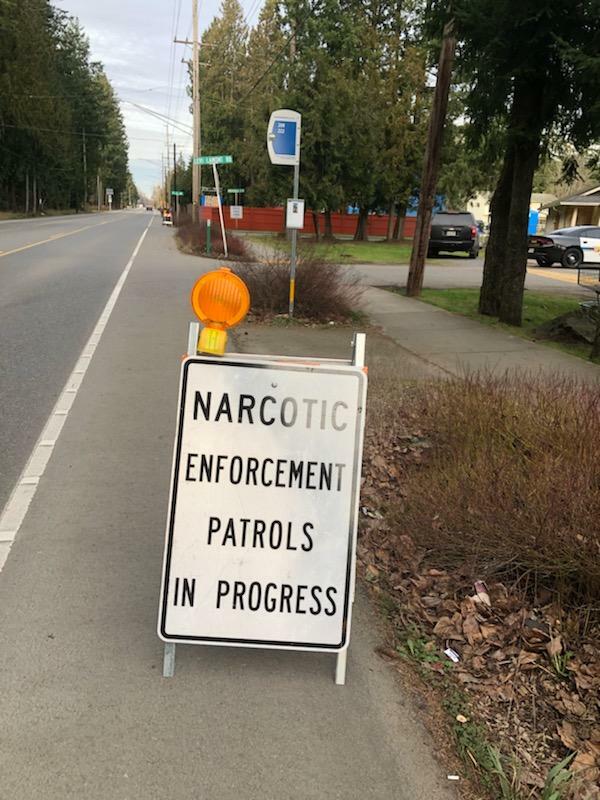 Community members who may have important information regarding the sales of controlled substances are asked to call the Tulalip Police Department, Drug Task Force/Investigations Tip Line at 360 716-5990. Anonymous calls will be received and followed-up on. The Washington State Department of Health reports that illicit fentanyl is being detected in new forms and is causing an increasing number of overdose deaths in the state. In the first half of 2018, there have been 81 deaths linked to fentanyl, versus 48 deaths recorded during the same time last year. This represents an almost 70 percent increase. If you witness an overdose, call 911, give naloxone and do rescue breathing. Fentanyl may require multiple doses of naloxone to restore breathing. Be careful about using too fast. Fentanyl is fast acting and deadly. Many experienced opioid users have overdosed or died by using too much, too quickly. Tulalip has adopted the Lois Luella Jones Law, if you have a friend who is overdosing; you can and should call 911.The law says neither the victim nor persons assisting with an overdose will be prosecuted for drug possession. Naloxone is a lifesaving medication used to counteract opioid overdose. 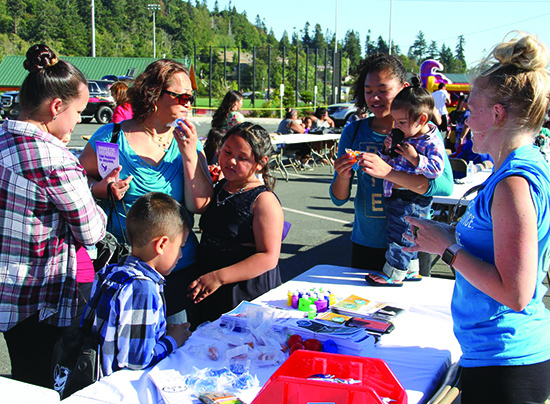 Naloxone kits are now available FREE for Tulalip Tribal members at Family Services 360-716-4400. Kits are also available at the Tulalip Pharmacy through your insurance company. In addition, visit StopOverdose.org for additional locations that provide Naloxone. 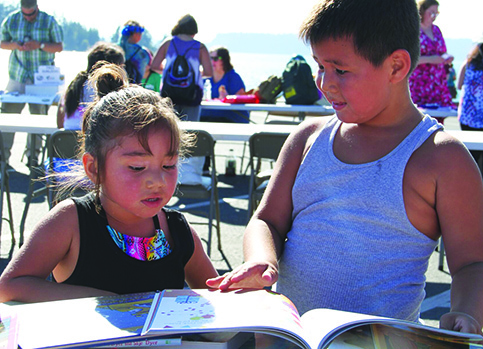 Non-natives can seek help by visiting, http://www.warecoveryhelpline.org/or calling, 1-866-789-1511. K9 Officer Tipper with her partner, Officer Jacob Wilcox. For over two centuries, many law enforcement agencies often relied on a special breed of detectives to help enforce the law and protect their communities. These specialists possess a certain skillset, using their heightened sense of smell to help with search and rescue missions, crime scene investigations and special taskforce assignments involving drugs or homicide. These officers go through extensive training, sharpening their skills and learning a number of commands as well as how to conduct themselves while on duty. With an affinity for serving, protecting and always catching their perpetrator, these officers share many similarities with their fellow police men and women – with a few minor exceptions of course, including the fact that these officers have fur, four legs and a tail. It’s easy to see how the term ‘man’s best friend’ came to be. Looking back on the history of K-9 officers, it’s no shocker that dogs have assisted on many major cases throughout the course of time, helping shut down major crime operations and drug distributions as well as tracking runaway youth, fugitives and missing people. K-9 officers are simply motivated to do a good job and are an important asset and an excellent addition to any police department. Officer Tre Pruitt with his partner, K9 Officer Kait. 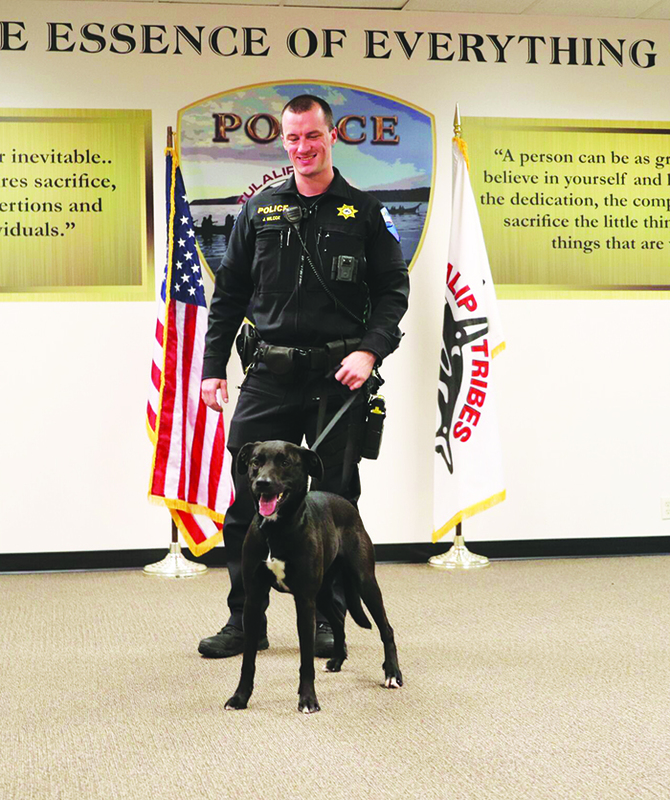 On Sunday November 18, the Tulalip Police Department (TPD) welcomed a new officer to the team by the name of Tipper, a nineteen-month old black lab. 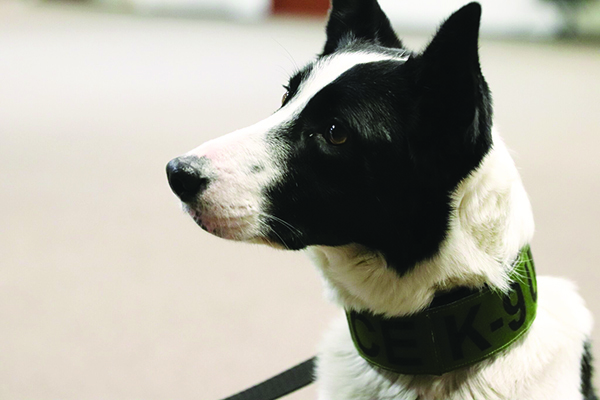 The following day, a three-year old border collie named Kait also joined the unit. After several weeks of training, the young lady pups are now officially TPD K-9 Officers and are focused solely on ridding the Tulalip community of illegal drugs. Kait’s partner, TPD Officer Tre Pruitt, recently explained the long but worthwhile process of becoming a certified handler of a K-9 officer. He expressed that he always wanted to have a K-9 partner and immediately applied when the opportunity came. Five fellow TPD Officers also applied. 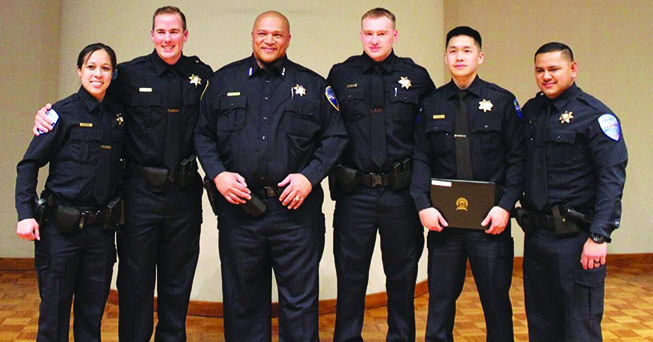 They wrote essays, took a series tests and interviewed for a chance to become certified handlers by attending a six-week long K-9 training at the Washington State Department of Corrections Narcotic Dog Academy in Shelton, Washington. After a competitive application process, Officer Pruitt and Officer Jacob Wilcox were selected and traveled to Shelton to meet their new partners. All of a sudden Kait sat up at attention and her ears perked up. Seconds later, the door at the opposite end of the police department opened. He let her off her leash and she did a quick spin before sprinting down the hall. Just as quick as she vanished, she reappeared, only this time she was chased by Tipper. 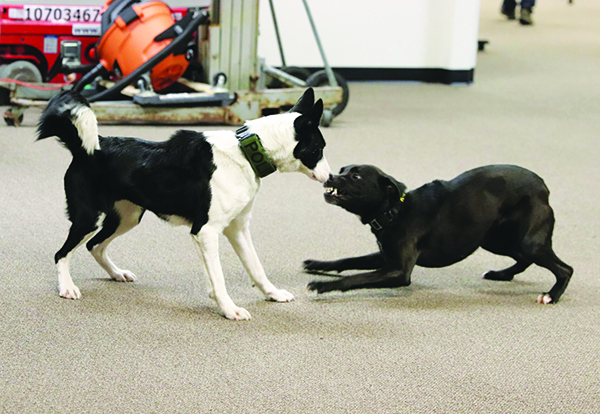 The dogs hurried to the large open space at the center of the department. Kait stopped on a dime and Tipper also halted as they faced each other. Kait juked left before immediately running in the opposite direction. Tipper recovered quickly, as she was fooled only briefly, and was now hot on Kait’s tail. The dogs continued to engage in a friendly game of doggy tag before duty called for Kait and Officer Pruitt. Tipper trotted back to Officer Wilcox who happily spoke about becoming acquainted with his new partner. The K-9 officers also live in the homes of their partners. Officers Pruitt and Wilcox had to learn how to care for the dogs while off duty and learn what to feed them, what toys they can play with and how their families should interact with them, so the dogs are ready and focused when it’s time to return to work. “Right now we have the two new K-9s, they will be working primarily late afternoons throughout the evening, seven days a week,” states TPD Chief Sutters. 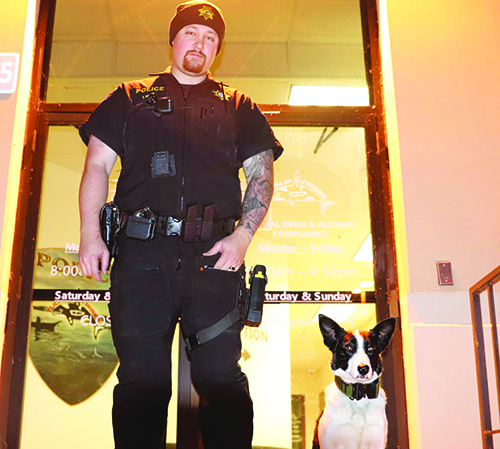 “Our goal is to have at least one K-9 on duty, helping patrol the streets of Tulalip. This is the introduction and part of our overall drug [taskforce] strategy. 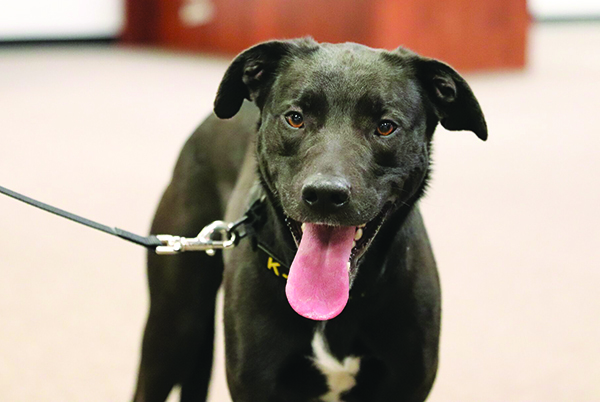 During their first few weeks on duty, the K-9 officers have already discovered a significant amount of stashed baggies hidden in vehicles, backpacks and on-person of users entering and leaving the reservation. Officer Wilcox pointed out that the drugs up north are made and cut with different chemicals than the drugs they were originally trained with, claiming they emit a different odor. Because of the recent findings, the K-9s are becoming more familiar with the smell of the drugs they will be primarily searching for in Tulalip. Aside from busting local drug operations, Tipper and Kait are excited to get to know the people of Tulalip and will be visiting with the youth at the Betty J. Taylor Early Learning Academy, Quil Ceda Tulalip Elementary and Heritage High School. The dogs will also be in attendance at many upcoming community events and are happy to meet you and your family, so be sure to say hello if you get the chance. Mission Highlands resident Ms. Smith talks with Tulalip police officers, Powers and Nelson. Photo by Joe Dyer. 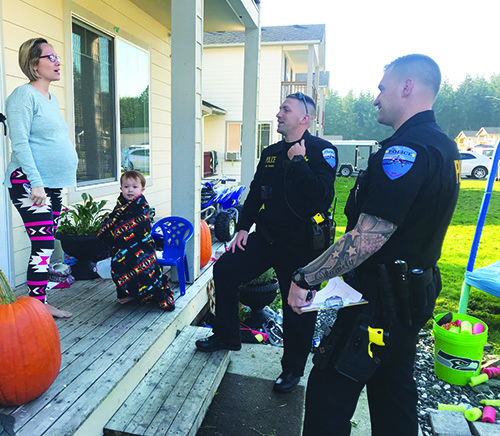 Last Friday (10-12-18) Tulalip Police Department (TPD) officers canvassed the Mission Highlands neighborhood to listen to community members and hear whatever feedback they had to offer. Officers were met with community members in a casual setting and learned how they can help meet the needs of the community. 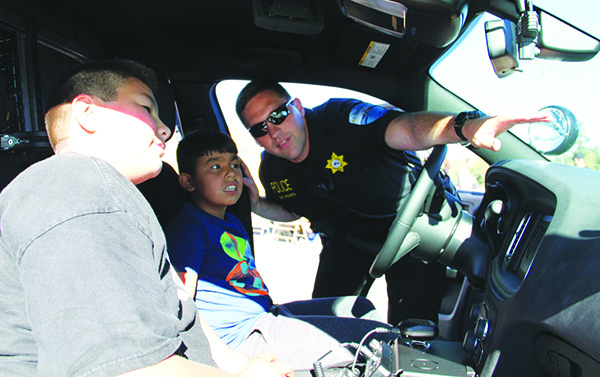 While going door-to-door, TPD officers passed out contact information and gave children badge stickers and refrigerator magnets. Ms. Henry speaks with SGT. Arroyos. Photo by Joe Dyer. TPD would like to start a conversation with the community and to help residents feel like their needs are being addressed. Meeting community members in their own neighborhoods is the beginning to that goal. TPD will be visiting other neighborhoods to further that goal and to foster that relationship. 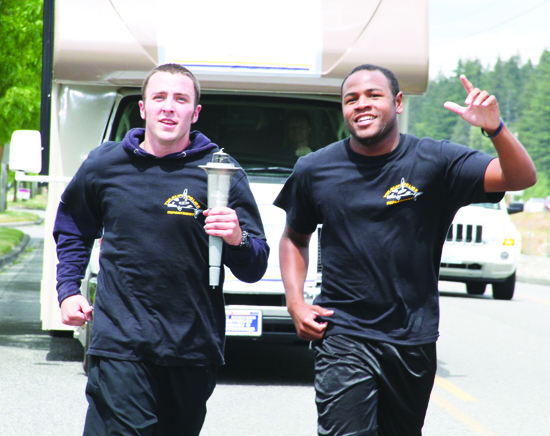 On the afternoon of May 31, the Tulalip Police Department (TPD) joined other Washington State police departments in the Annual Law Enforcement Torch Run. Police departments from across the Nation participate in the yearly run in an effort to raise funds for the Special Olympics USA Games. Law enforcement officials carry the Flame of Hope to their respective state’s Special Olympics Spring Games to help kick off the competition. 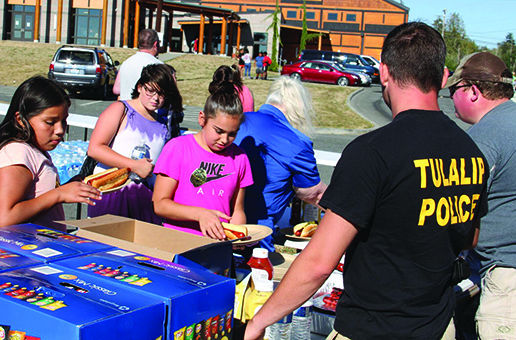 Washington’s Spring Games took place at Pacific Lutheran University in Tacoma during the first weekend of June. Several police departments that joined in runs across the state met at the University. TPD participated with a group that began at the Washington State-British Columbia border, joining the team in Stanwood and also running through Quil Ceda Village, Tulalip and Marysville. 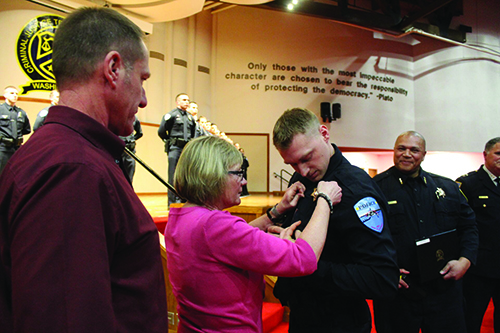 TULALIP, Wash. – December 4, 2017 — Patrol Commander Sherman Pruitt was sworn-in by the Tulalip Board of Directors to lead the Tulalip Police Department. Interim Chief Pruitt is stepping in for former Tulalip Chief of Police Carlos Echevarria who resigned, effective 12/4/17, citing personal reasons. 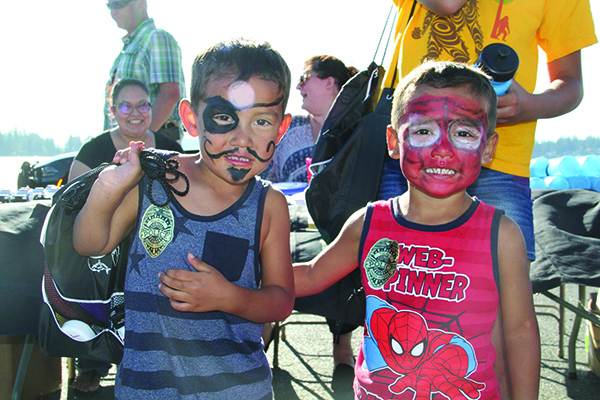 Chief Echevarria’s watchwords, ‘Trust, Pride, Dedication’ remain emblazoned across every Tulalip Police vehicle, a reminder that policing at Tulalip is truly about serving the people. 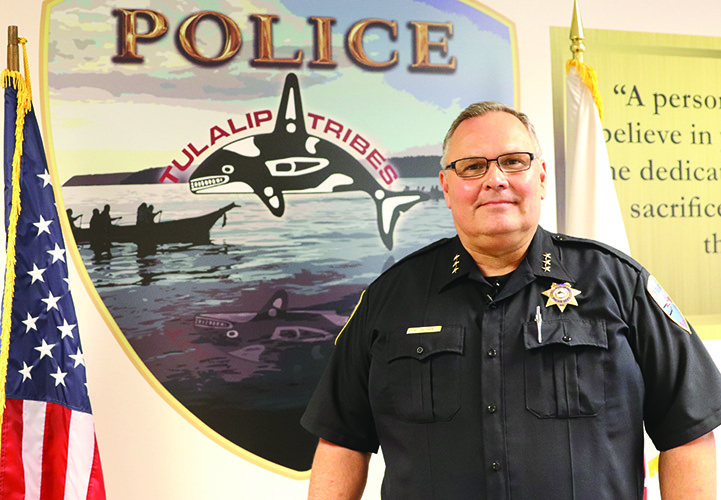 Interim Chief Pruitt will serve the department while the Tulalip Board of Directors search for the right person to step in and lead the future of the Tulalip Police Department. Interim Chief Pruitt is a 21-year veteran of the military; he served 12 years in the United States Marine Corp and an additional 9 years in the Reserve Air Force. He was deployed five times, serving in Somalia, Rwanda and Iraq. 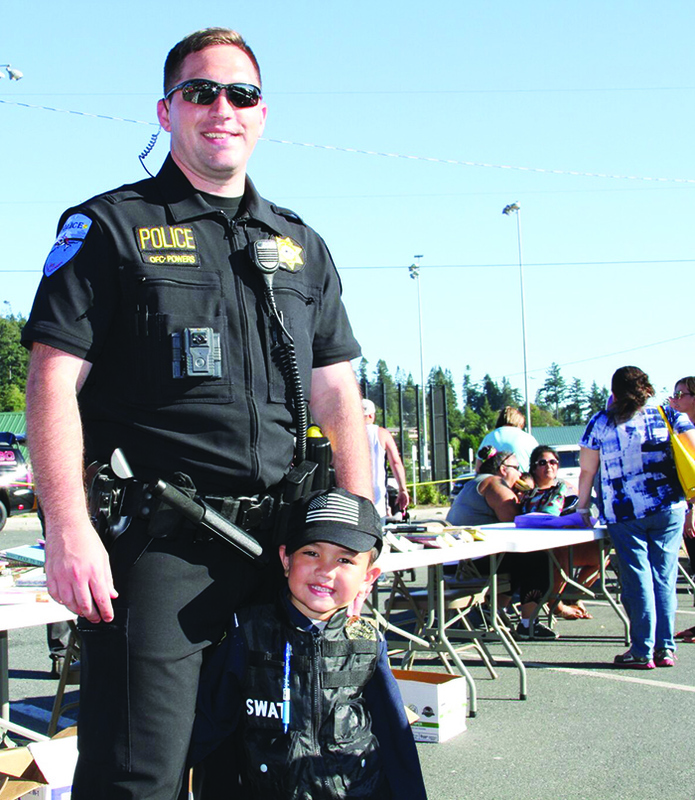 In his 13 years as a Tulalip Police Officer, Interim Chief Pruitt has worked as a Patrol Officer, Detective, Patrol Sergeant, Detective Sergeant, Patrol Commander and now Interim Chief. 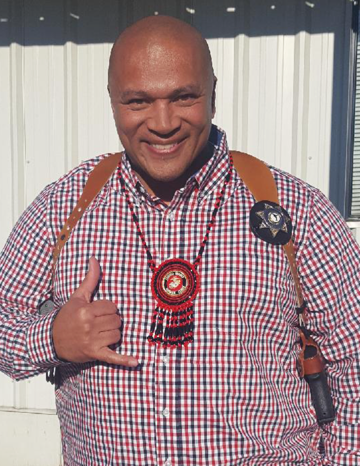 In addition to his duties with the Tulalip Police Department, Interim Chief is cross-commissioned with the FBI and U.S. Marshalls as part of the Safe Trails Task Force, which fights against major crimes in Native America. He is a father of five and is happily married to his wife of 20 years.